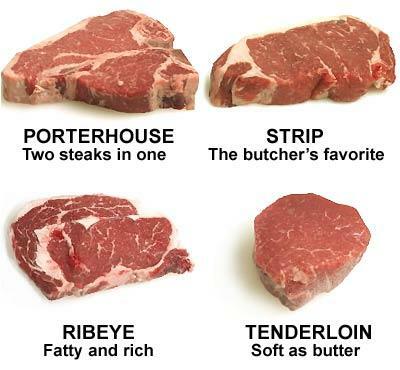 So how do you prefer your steak? No, not rare or medium, but grain-fed or grass-fed? Kim Severson in the New York Times reports that there is actually a difference and there is actually a movement and demand out there to have more beef cows raised eating in a grass pasture rather than being fed processed grain. It's interesting to note that there is also a difference in the taste between a grain-fed and grass-fed cow. Carol Ness in the San Francisco Chronicle also covers this movement, which is being called heritage meat...it will cost you though, a heritage raised chicken will cost you about $50. Alison Arnett looks at natural meats (No hormones, antibiotics or animal byproducts) on the East Coast. Joe Yonan in the Boston Globe looks at the various cuts of steak and the qualities of each. Yonan also looks at whether to marinade or not. Personally, I've gotten away from marinades and have been using more rubs and olive oil on my steaks. Patrick J. Comiskey says that it is perfectly fine to enjoy a glass of wine with lunch...even if you're going back to work afterwards. He offers some suggestions. Bill Daley says that cooler-climate wines better match to California meals. Eric Asimov reviews a few wine-related books. Virginia Gerst looks at the fad of Asian-inspired Ice Creams. Florence Fabricant looks at alternative frozen desserts, including those made with soy and wasabi. Although you stated you have gotten away from marinades, I wrote and posted an article on my blog. If you have the time, could you read it and give me your opinion?